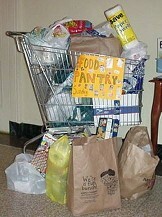 The first Sunday of every month church members bring in food items to donate to the community food pantry. 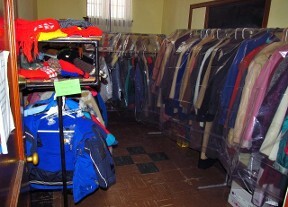 We host the Community Coat Closet, slightly used coats are donated and those who are in need of a coat are invited to come during office hours to find a coat for themselves or a family member. The Disciple Women and Disciple Men's groups take turns preparing and serving meals at the Warren's Community Dinner Table.